I love cooking chicken breasts in my Instant Pot. 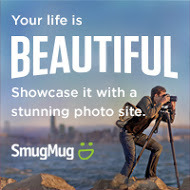 It is so easy and fast. Plus, I can count on it turning out perfect every time. 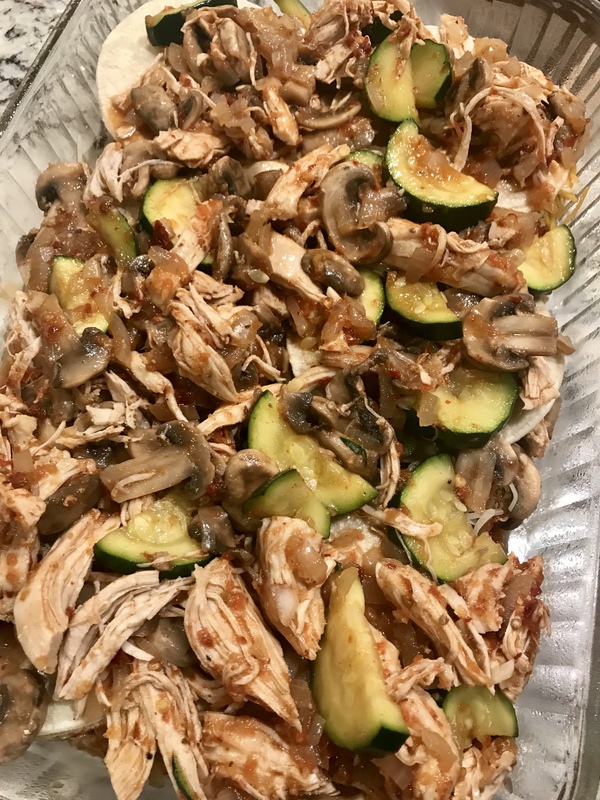 I have been enjoying it so much (and cooking chicken breast every week by the Instant Pot loads), that I have hunted out new recipes for shredded chicken breast. 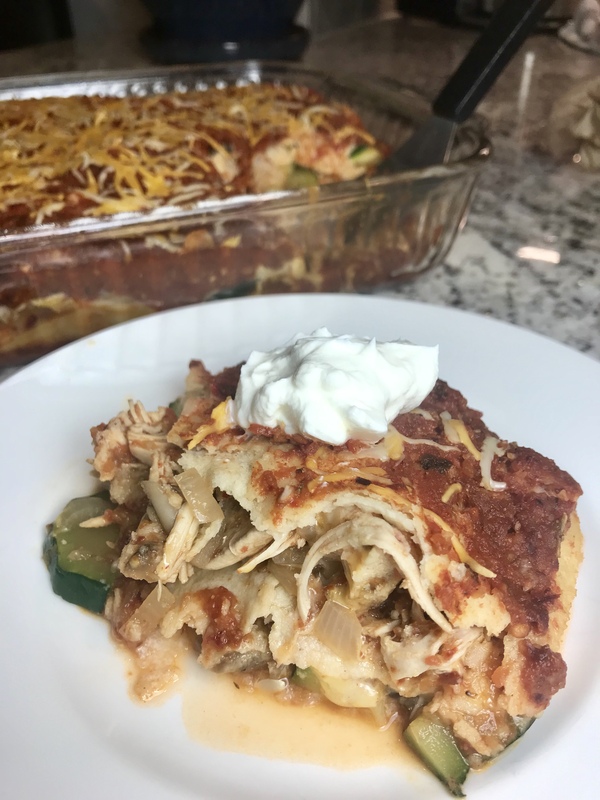 This Chicken Enchilada Casserole – a WW Freestyle dinner recipe is a keeper! Easy and delicious! Plus who would of thought that you could enjoy an enchilada dinner for only 4 Smart Points? The addition of mushrooms and zucchini give it an extra nutritional boost for zero points. The onion, garlic and adobo sauce give it a flavorful kick. And the corn tortillas, melted cheese, and sour cream topping give it the decadence an enchilada dish should have. What’s not to love? 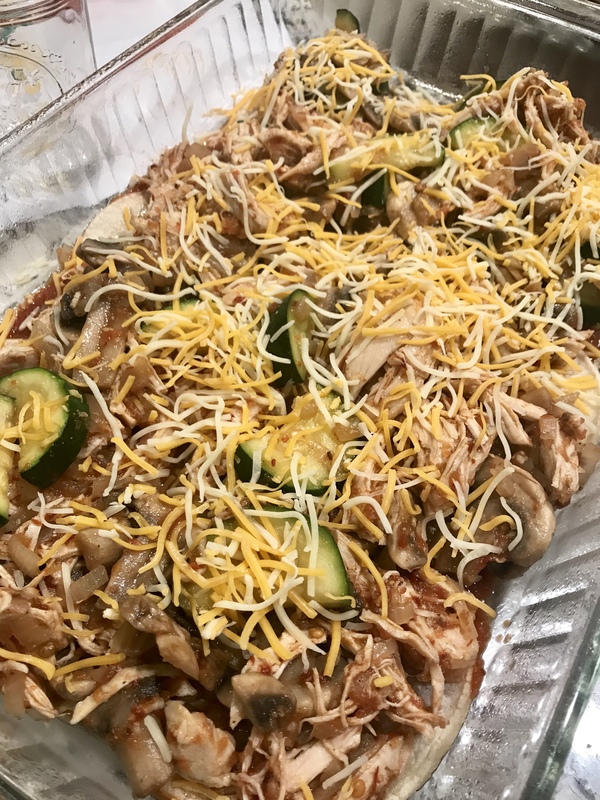 Now, my husband called this a Mexican lasagna, and he is right. 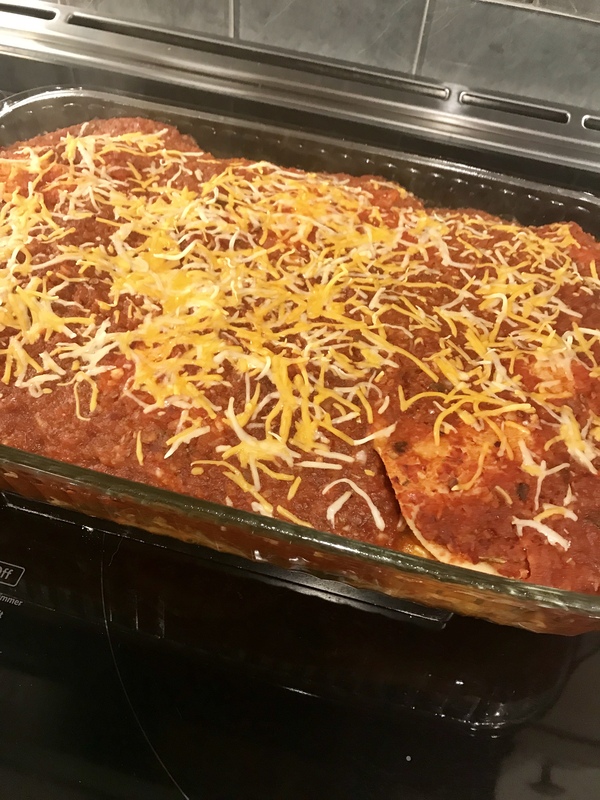 This dish with the layered effect does have a lasagna feel, but the flavors are purely south of the border savory and spice. The adobo sauce gives it a sweet, smokey and peppery kick. Adjust the amount of adobo sauce depending on your taste buds. I prefer a little bit less, my husband loves it full force! The reduced-fat sour cream is the perfect balance to the heat should you go big. Chipotle Peppers in Adobo Sauce – Add amount to taste. Preheat oven 425°F. and coat a 9- X 13-in baking dish with cooking spray. Heat oil in a large nonstick pan over medium heat on stove top. Add 2 cups chopped onion; cook, stirring occasionally, until translucent just 3 minutes. 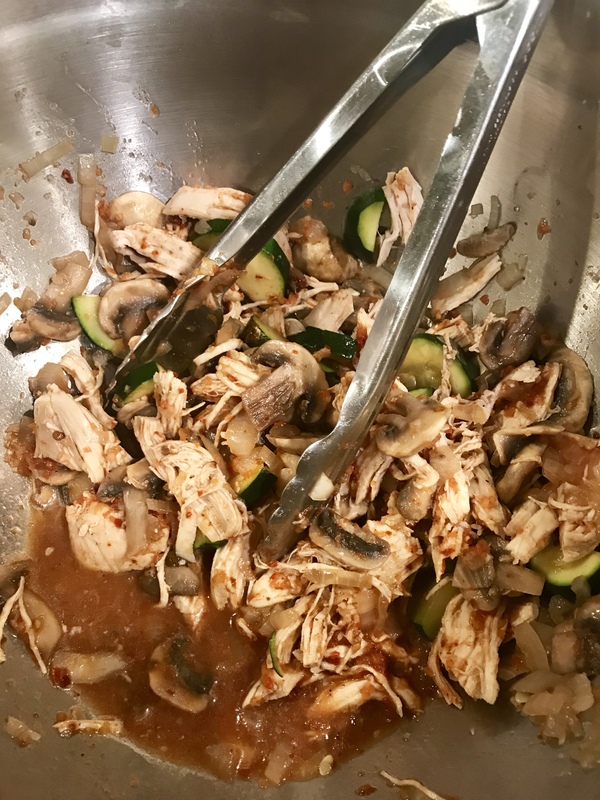 Add zucchini, mushrooms, and 1/2 tsp salt. Cook, stirring occasionally, until vegetables are softened about 15 minutes. While the vegetables cook, make the sauce. 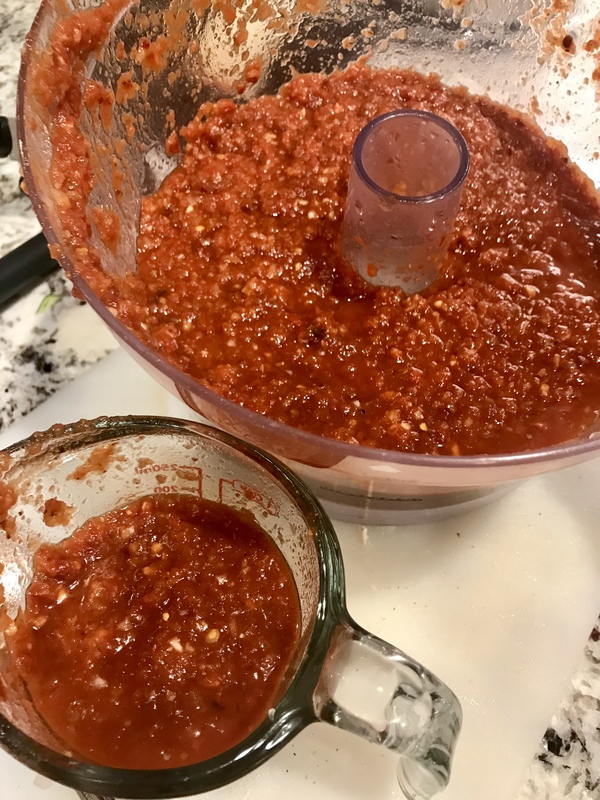 Put tomatoes, chipotle, remaining 1 cup chopped onion, smashed garlic, chili powder, cumin, oregano and remaining 1 tsp salt into a blender or food processor and puree. Transfer cooked vegetables to a medium mixing bowl. Mix in shredded chicken and 1 cup tomato sauce. 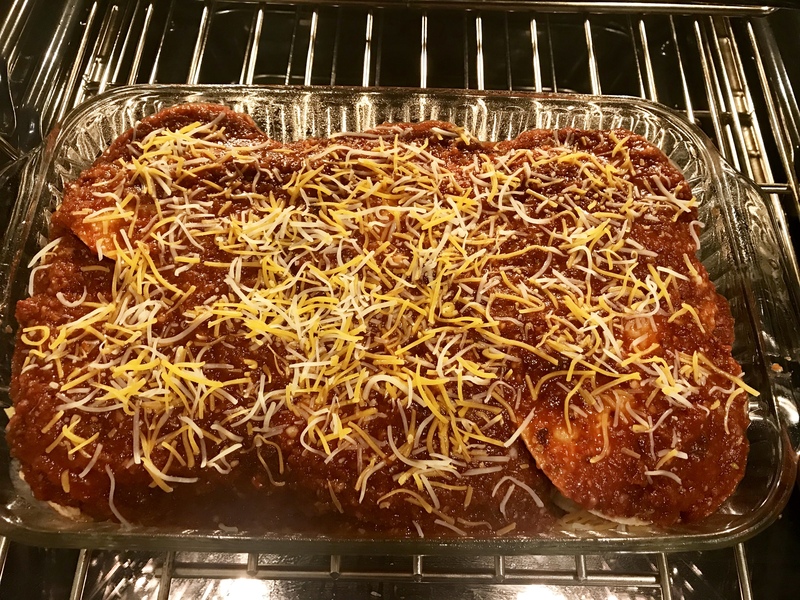 Spread 1/2 cup tomato sauce in the bottom of your baking dish; top with 6 tortillas. Top with half of the chicken mixture and 1/2 cup cheese; top with 6 more tortillas. Spread remaining chicken mixture and another 1/2 cup cheese. 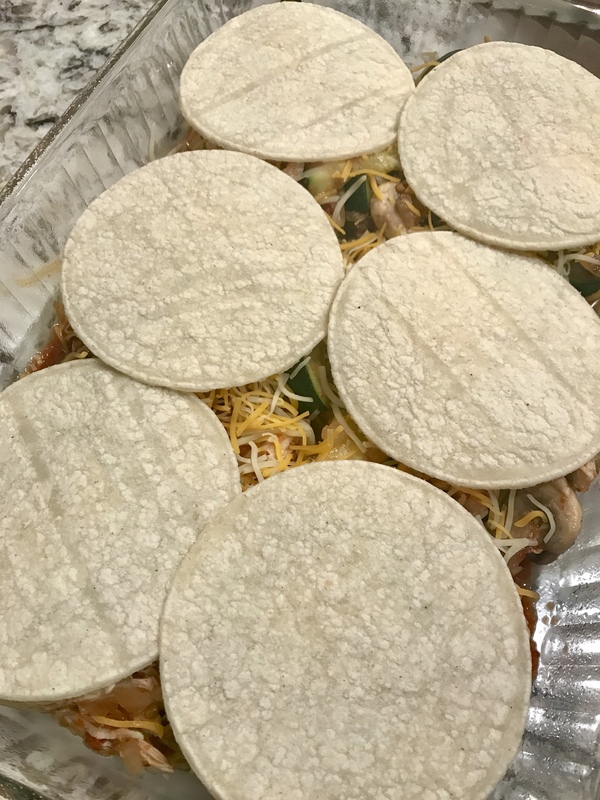 Top with remaining 6 tortillas. Spread remaining sauce on top and sprinkle with remaining cheese. Bake until golden, bubbling, and heated all the way through – about 15-20 minutes. Remove from oven and let sit 5-10 minutes. 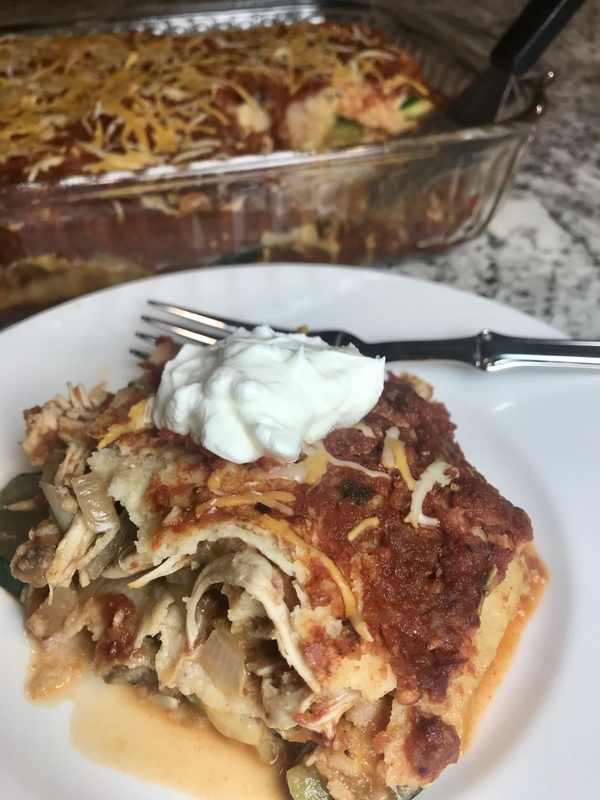 Serve this Chicken Enchilada Casserole with a side green salad with 2 tablespoons fat-free Ranch dressing (1 point) and 1 cup cubed cantaloupe (zero points) for a delicious, healthy, and very satisfying dinner – all for only 5 points! That’s what I call a winner dinner! And I Love my Instant Pot! 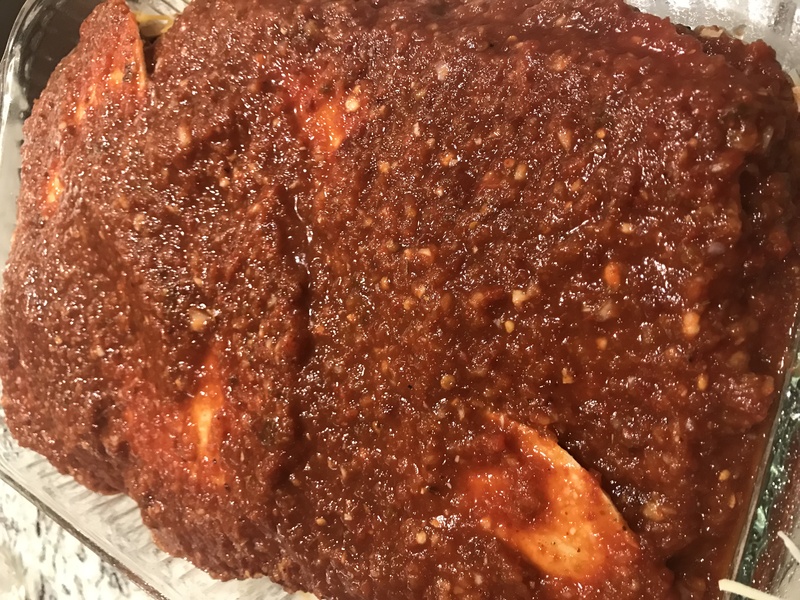 Chipotle Peppers in Adobo Sauce - Add amount to taste. Bake until golden, bubbling, and heated all the way through - about 15-20 minutes. Thank you the fantastic recipe..it’s a keeper. I made it for dinner yesterday and my husband loved it! 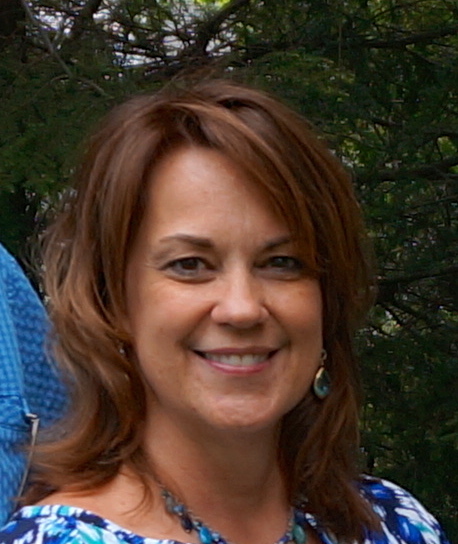 Debbie, so glad you enjoyed it! I need to make another batch soon. I have been craving more!